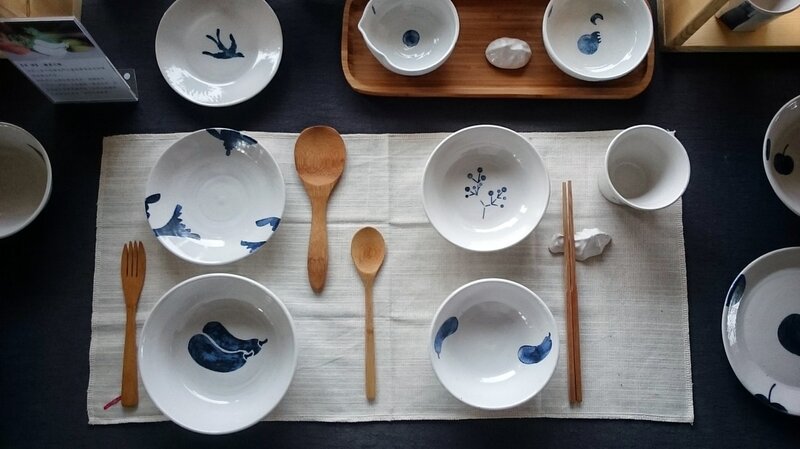 Sanshing Four Seasons Blue ＆ white pottery Studio is located in Yilan County, Sanshing Township. 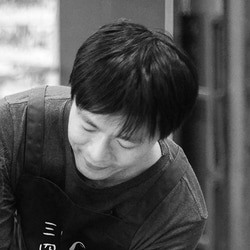 The studio was established in 2014 by artist Che-Jung Lee and continued in private ceramic design workshop. We believe that people should be given the opportunity to seek out new experiences through working and experiment with new ideas from making by hand. We use field research and design to explore local customs and also we interact with local people to gain more inspiration. Our blue ＆ white patterns can best be described as symbolic images born from Sanshing Township's lifestyle. Each Blue ＆ white pattern design has a local story, showing unique blue ＆ white porcelain aesthetics on our ceramics. All of our works are handcrafted and used porcelain and Sanshing clay as a combination of materials, making each tiny production feel. 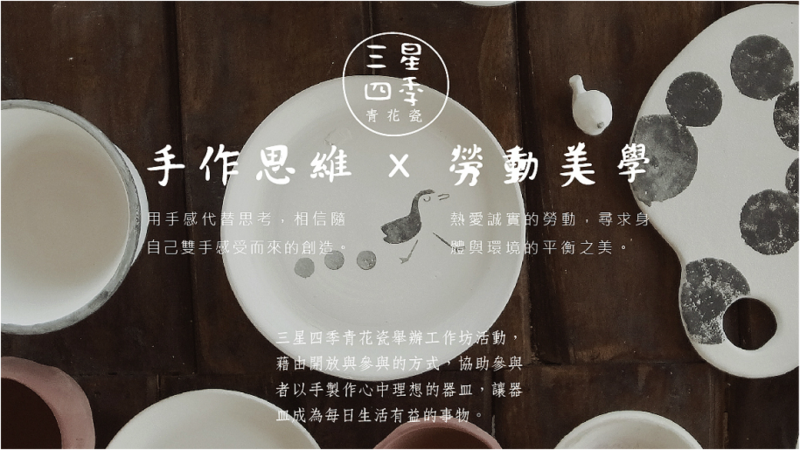 Find the true handcrafted Ceramic in distinctive Sanshing Township's lifestyle.